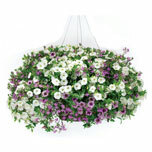 Abundant small petunia-like flowers all season long on cascading foliage; low maintenance. Superior disease resistance, large flower size, heat tolerance, and striking colors are the qualities that have made Superbells the new gold standard for Calibrachoa. 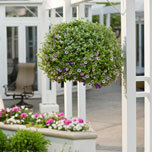 These vigorous, fast-growing plants produce hundreds of blooms from spring until frost.